BEST UNIT IN COMPLEX! ORIGINAL MODEL HOME!!! THIS EXQUISITE TOWNHOME FEATURES RESORT STYLE LIVING OF COMFORT, BEAUTY, & PLEASURE. 3 BR/2.5 BATH WITH SPACIOUS MASTER SUITE ON MAIN. 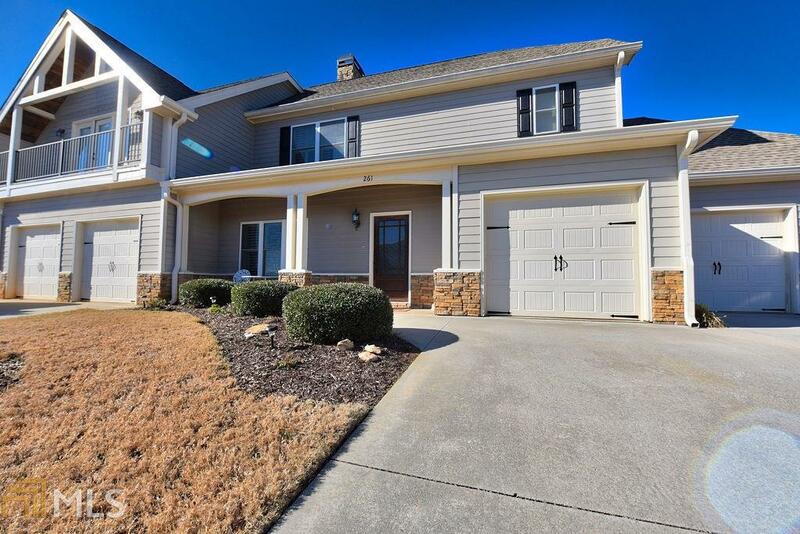 GORGEOUS HARDWOOD FLOORS, STAINLESS APPLIANCES, GRANITE COUNTERTOPS, OPEN FLOOR PLAN W ROOM TO ENJOY THE FAMILY. LOW HOA FEES & GATED ENTRANCE. COVERED PATIO WITH VIEWS ABOUND. PRIVATE END UNIT WITH OVERSIZED LAWN. CUSTOM DRAPERY & FIXTURES THROUGHOUT. 2ND FLOOR FEATURES LOFT AREA & 2 BEDROOMS WITH JACK & JILL BATH. WALKING DISTANCE TO RESTAURANTS, SCHOOLS, & SHOPPING. EASY ACCESS TO GA 400. Directions: From Ga 400 N, Turn Left On Hwy 60. Left Onto Crown Mountain Dr. Right On Mountain View. Left On Village Dr. Take The First Left & Home Is First End Unit On Right.